When you look at a map of Arizona, US 89 is hard to find. In fact, it only exists from Flagstaff to Page and into Utah. So what happened to our border to border highway? 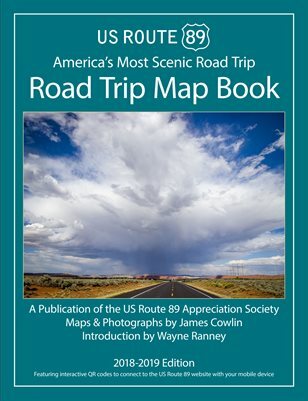 A little background—when the federal highway system came into existence in the late 1920s, US Route 89 connented Utah and Arizona from near Salt Lake City to Nogales. It was the most important road in Arizona because it was the best road between all of the major cities from Flagstaff to Prescott to Phoenix to Tucson to Nogales and all the smaller towns along the way. It was Arizona’s Main Street. Construction of the new Interstate Highway system began in the late 1950s and by the end of the 1970s, the distance from Nogales to Flagstaff was covered by three Interstates—19, 10 & 17. 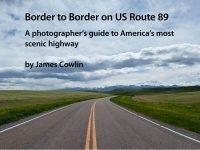 US Route 89 lost its prominence and in 1992, the inevitable happened and it was decommissioned as a federal highway. In my opinion, it was a sad day in Arizona history. Even sadder is that only part of the route retained the number as AZ Route 89. In any case, most of the pavement that was US 89 is still on the ground. So if you want to follow the original highway and experience Arizona’s Main Street, here’s how to do it. Starting in Flagstaff, turn right on West Route 66 just south of downtown from Milton Street. Yes, historically US 89 and US 66 occupied the same stretch of road from Flagstaff to Ash Fork, 50 miles to the west. In four miles, you will merge onto Interstate 40. If you are adventurous, you can still find remnants of the old road to explore. Be sure to follow the signs for old 66 through Williams. From Ash Fork head south on AZ 89 through the Chino Valley to Prescott. 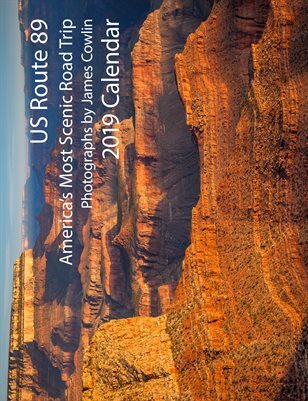 In this 52 mile stretch, you will gradually descend from the Colorado Plateau to the central mountains that separate it from the southern deserts. From Ash Fork to Phoenix, the highway follows the same route as the Sante Fe, Prescott & Phoenix railline that came into service in the 1890s. Continuing on AZ 89, the next sixteen miles is called the White Spar and was the first federally funded highway in Arizona. It was constructed to bring timber from the national forest to Prescott. At Wilhoit you enter the Peeples Valley. Driving across the valley is a step back in time to an era when the west was all about ranching. Take the time to wander through the shops and have a bite to eat in Yarnell at the south end of the valley. Going down Yarnell Hill, you drop 2500 feet in four miles and enter the Sonoran Desert on your way to Wickenburg. AZ 89 ends six miles north of Wickenburg as it intersects with US 93. As you enter the town at the roundabout, take Tegner Street rather than the US 93 bypass to visit the historic downtown. On Frontier Street, stop at the Chamber of Commerce in the old train station for a walking tour guide to historic buildings. Also, check out the art in the Desert Caballeros Western Museum down the street. Tegner and Center is the intersection with US 60 which you will follow all the way through Phoenix, Tempe, Mesa and Apache Junction. To stay on historic US 89 which was cosigned with US 60 take the following route: as you leave Wickenburg, Center becomes Grand Avenue past Surprise, Peoria and Glendale into Phoenix. At 7th Avenue, turn onto Van Buren through Phoenix to Mill Avenue in Tempe and around the curve at ASU onto Apache Boulevard. Apache becomes Main Street in Mesa and the Apache Trail in Apache Junction. Take the Old West Highway past the Superstition Mountains to the intersection with AZ 79. Turn south on AZ 79 for sixteen miles to Florence. To see the historic downtown, take Butte to Main and follow Main back to AZ 79. The forty mile stretch of AZ 79 to the intersection with AZ 77 is called the Pinal Pioneer Parkway. It became Arizona’s first scenic byway when a 1000 foot wide right of way was set aside so that travelers could enjoy the Sonoran Desert scenery. AZ 77 is Oracle Road through the towns of Catalina and Oro Valley into Tucson. To stay on the historic route, turn left at Drachman Street and go four blocks to Stone Avenue. Turn right and stay on Stone until it merges into 6th Avenue which becomes the Old Nogales Highway in South Tucson. Stay on the Nogales Highway until in merges with Continental Road near Sahuarita and intersects with I-19 at Green Valley. From Green Valley to Nogales, the original road is overlaid by the Interstate. Be sure to get off I-19 at Tubac and follow the old road to Tumacåcori National Historic Park to visit an old Spanish mission. Reenter 1-19 toward Nogales and exit at Grand Avenue to the center of town and the Mexican border. There is a historic alternate route from Flagstaff to Prescott. 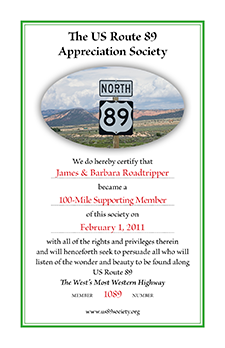 It is easy to follow because it is designated as AZ 89A and posted with signs for the 92 mile trip. Take 1-17 south from Flagstaff to the 89A exit at the Fort Tuthill Fairgrounds. Head south into Oak Creek Canyon to Sedona and across the Verde Valley to Cottonwood, Clarkdale and Jerome. From Jerome, AS 89A climbs over Mingus Mountain and down toward Prescott where in rejoins AZ 89.